Our Hawaiian Sweet Islands Deluxe Ice Shaver is made to last to for many years to come, providing you with much enjoyment. 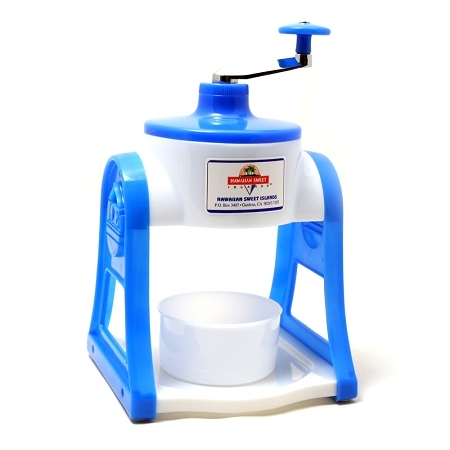 It is constructed of durable plastic and stainless steel blades. The best part about it is that it comes assembled, and maintenance is very easy. The Deluxe Ice Shaver also includes 3 ice molds for freezing ice. Available in blue and red.